Deluxe available stock will show in the product page a different icon depending on the product available stock. 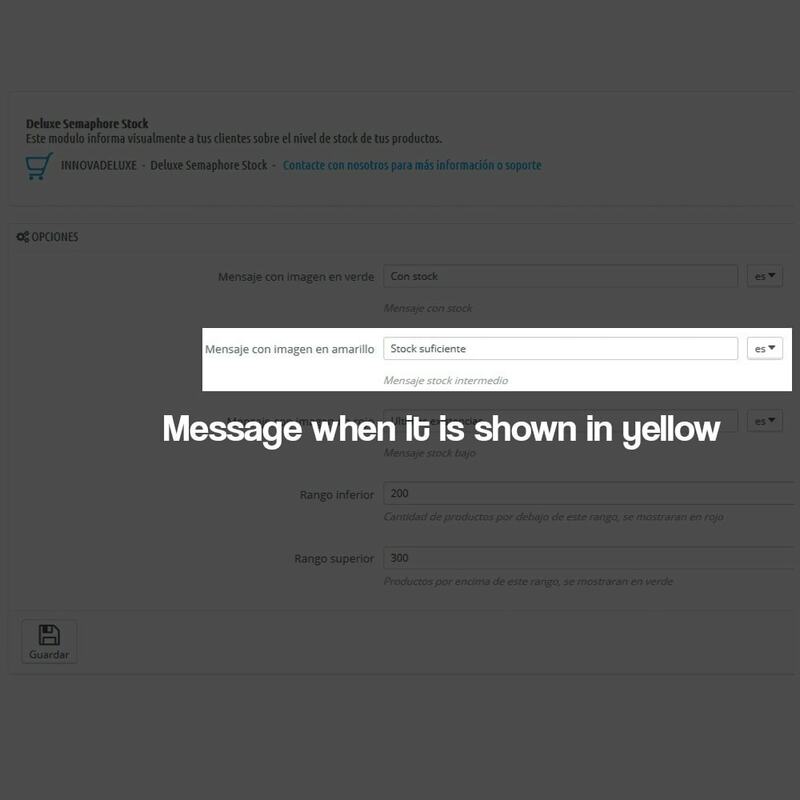 The color displayed will change from green to yellow and red, depending on how much stock is left for that product. Green: Product available, Orange: Low stock, Red: Very low or no stock. This module will improve your sales by advising your customers about available stock, if it’s low, they will have to buy quick. 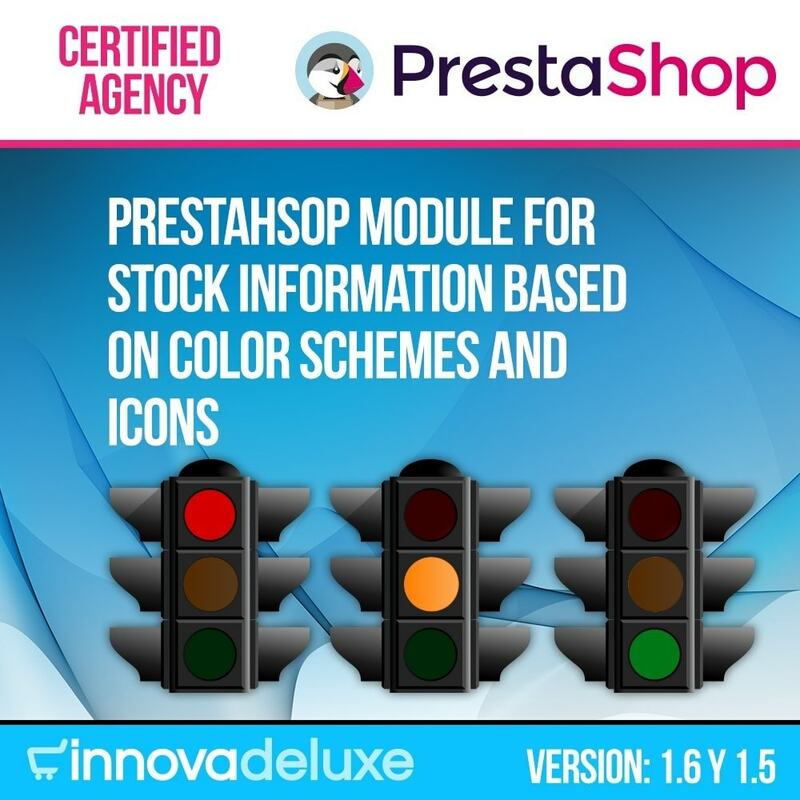 You can configure the stock ranks for each color from your backoffice. Just configure your stock limits for each color and the message of your choice for each case. You can modify this settings everytime you want, customizing your shop and making it a little different. 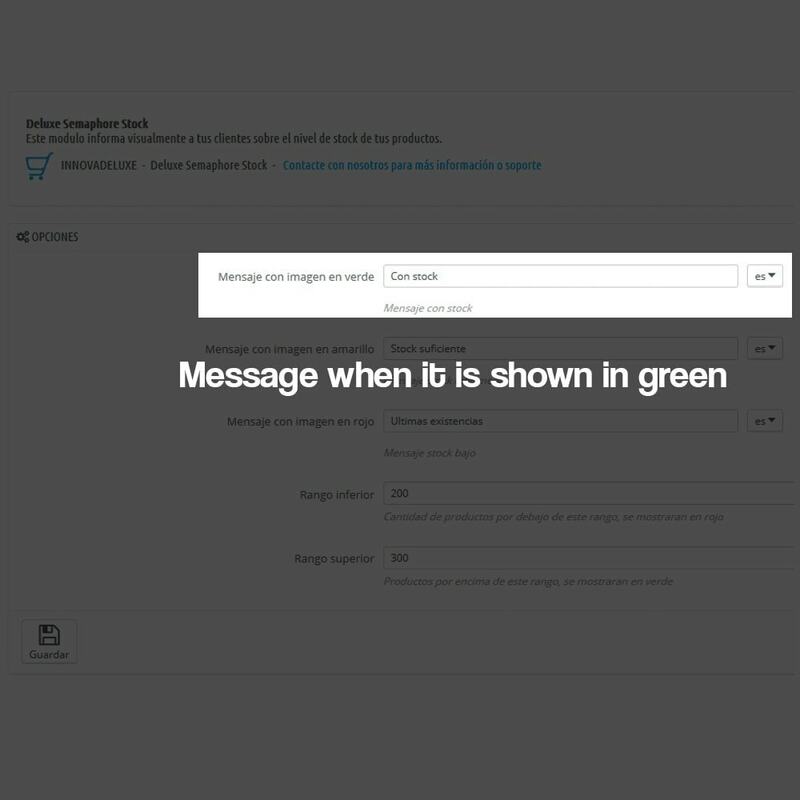 You can configure a different custom message for each color, for example, for red color you can use the message: Last items in stock, be quick. 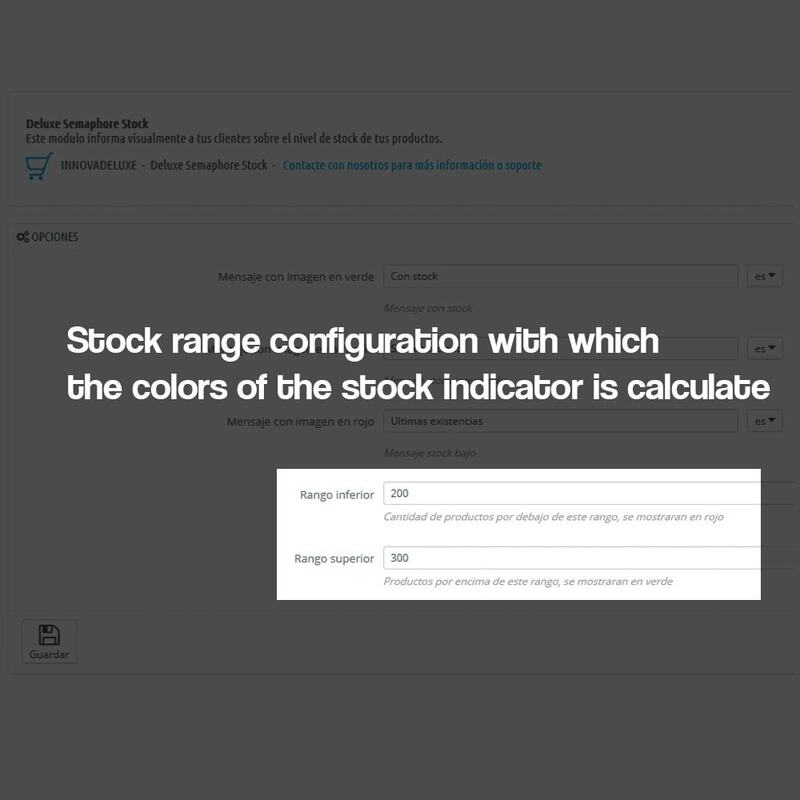 This module allows you to configure the ranks of stock for each color and it’s applied to combinations too. You can set a custom message for each color and stock rank. 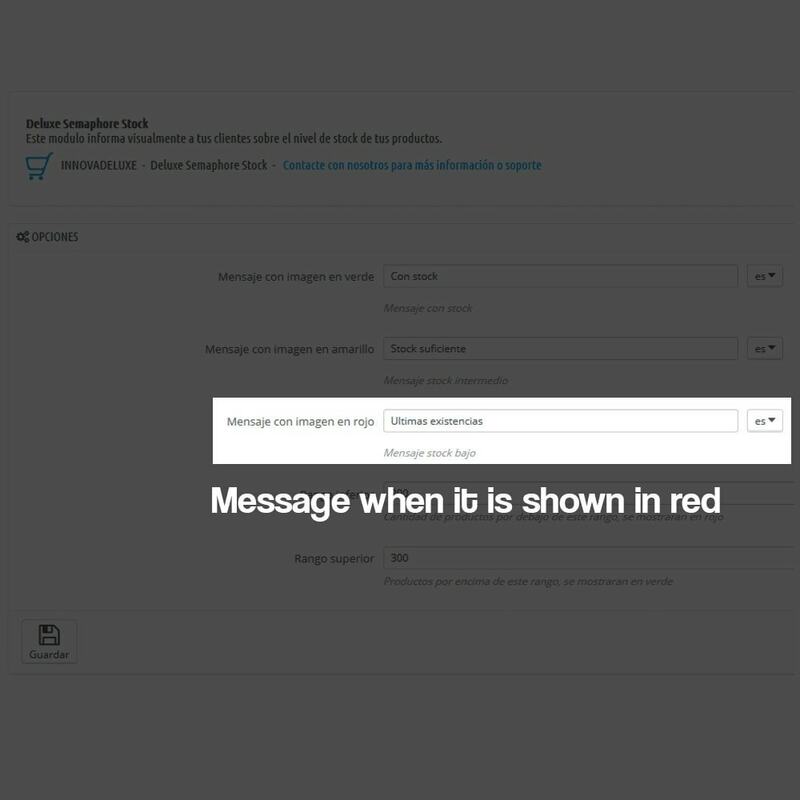 This custom messages allow translations to every language installed in your shop. Your customers will have visual information about your products stock. They will know at every moment and in real time if there are items or not of a specific product.